Its central location in South Tyrol’s Isarco Valley on the alpine plateau of Naz/Sciaves makes the youth hotel Sonnenhof an ideal location for a fun-filled ski holiday. You may reach two ski areas within a short time from your accommodation. A free ski shuttle daily connects our group hotel and the ski areas Plose and Monte Guzzo/Val Giovo. Ski storage facilities for the dry storage of winter sports equipment is available for all winter sports groups in our house. A gorgeous winter sports area extends above Maranza at Monte Guzzo. The ski area Monte Guzzo/Val Giovo offers perfect slopes for all demands. On 44 kilometres of groomed slopes, an exciting experience in the white snow awaits you. The slopes are wide and offer both beginners and experts plenty of space to show off their skills on skis or snowboards. Just below the summit cross, there is the highest point of the ski area. The view at an altitude of about 2,500 meters is simply breath taking. The peaks of the Dolomites, the Ötztal Alps, the Zillertal Alps and the Stubai Alps can be seen from here. Two ski kindergartens will take care of the well-being of the youngest skiers. In the Snow Park in Valles and in the Winter World in Maranza, there is an hourly day care centre. High above the episcopal city, the ski area of Bressanone awaits you. 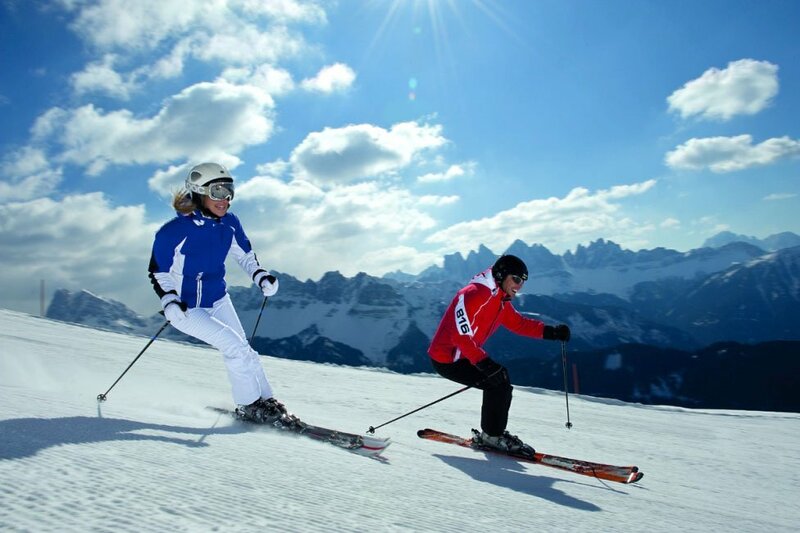 Mount Plose offers 43 well-groomed kilometres of slopes at an altitude of up to 2,500 meters. On the sunny slopes, you may enjoy breath-taking views of the Dolomites, the Ortles Group and the main ridge of the Alps. Here you will find the longest downhill slope in South Tyrol with a total length of approximately nine kilometres. 1,400 altitude meters must be overcome before you arrive back at the valley station of the cable car. In the “Kinderland“, the little guests have the opportunity to learn how to ski. During the day, children can spend time with trained caregivers, playing in the snow. Twelve lodges and restaurants in the ski resort Bressanone-Plose offer food & drinks to the winter visitors.